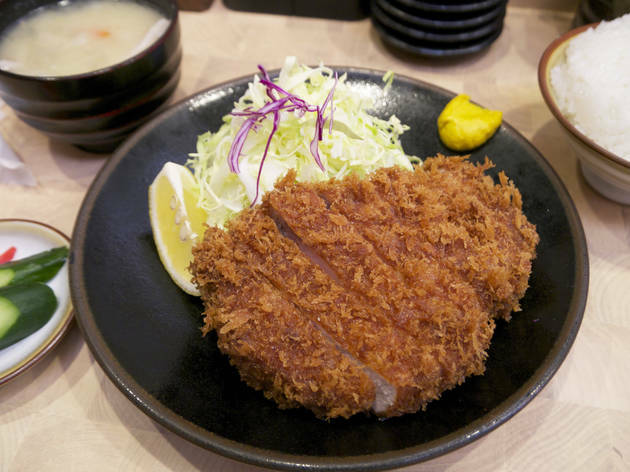 This tonkatsu (pork cutlet) eatery is a local favourite, and it’s easy to understand why: serving reasonably priced, high-quality fare made from SPF (specific pathogen-free) pork sourced directly from Chiba’s Tonosho, the place attracts hungry residents whenever it’s open. You’ll have to queue at lunchtime, but go around 5pm on a weekday and you’re almost assured of a seat right away. Those particular about their salt may enjoy choosing from the nine-flavour selection here, which includes salt from exotic locales like Mongolia, Kiribati and Bolivia. 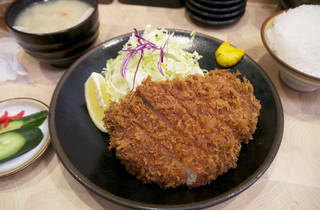 Their most popular choice is the toku-jo katsu (¥2,000), which really brings out the best in the soft, flavourful meat. All sets come with rice, pickles, cabbage and tonjiru (pork and vegetable soup).